If the answer is yes, your interviewing skills may need help, and Celeste Headlee is here to assist you. I’ve long thought Headlee is one of the best interviewers in public radio, but that belief has now been externally validated: The video of her TED talk “10 ways to have a better conversation” is up to 3.5 million views. 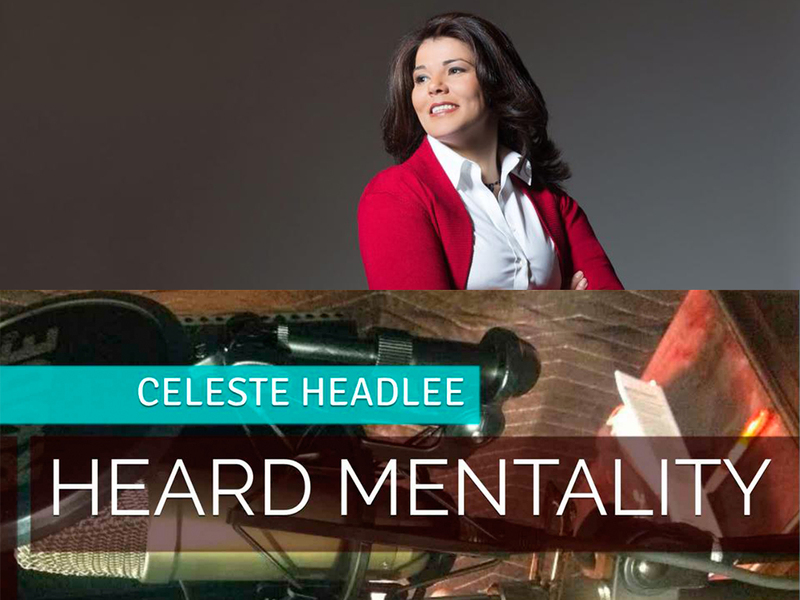 She’s also authored a new book — Heard Mentality: An A-Z Guide to Take Your Podcast or Radio Show from Idea to Hit — that includes protips on interviewing, among other topics. Another interviewing sin she admonishes: When interviewers ask a question to which they already know the answer, especially when they ask in a knowing, patronizing tone. WXXI’s Scott Fybush offers an explainer of the new public TV interconnection system that is expected to cost upwards of $200 million. Is it worth it? Could “situational ethics” excuse a Texas PBS station head who hired her own daughter at $50,000 a year and let her work from New York? If you’ve ever heard some digital slurp, bloop or BOOM in a radio story and thought “How’d they make that?”, listen to this episode of The Pub to find out. I’m a big fan of casual and unrehearsed conversations. Both the host and the subject should be comfortable and relaxed. Some of the best podcasts are casual conversations between friends! Before listening I was going to ask if the advice is really to not ask questions you already know the answer tom or was it just not to indicate that you already know the answer, thinking that sometimes questioned need to be asked for purely for the audience’s benefit. Glad that was the case. Now, having listened, my question is: isn’t sometimes necessary to play devil’s advocate? The Ben Carson example is a good example of an extreme case, but what about asking what the response would be to the liberal argument, or the conservative argument? What is wrong with that? oh, it’s totally good to ask devil’s advocate questions! I didn’t mean to imply otherwise. All I was saying is that when you do opinion journalism, as I do, this funny thing happens when every time you do an adversarial interview, some people assume you necessarily believe the positions you’re arguing, when in fact you may be playing devil’s advocate. Thanks Adam. That part I got. My question was more for what Celeste said. Did she say something bad about devil’s advocate questions? I don’t recall. It was part of her advice to “ask for yourself” (#4). Her example was if Ben Carson says something offensive, then don’t say “some people might consider that offensive.” Instead declare it offensive yourself. But sometimes it may be appropriate to ask a question on the behalf of other even when you may not actually share that opinion, or require that question be answered. For instance, if if you lean liberal and are interviewing someone who leans liberal, there might be value in asking a question that come from a conservative perspective, but want to declare that it is not your perspective.